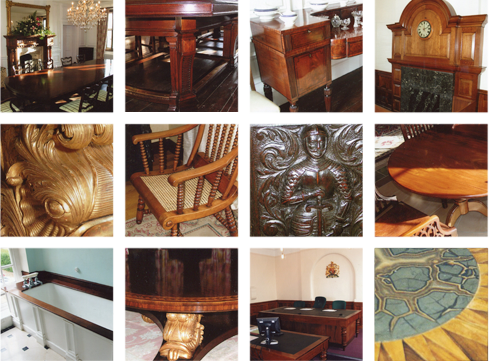 to the restoration and conservation of fine furniture. My services can be delivered on-site or at my studio based in Exning, Newmarket. For advice or a quotation please do not hesitate to contact me. "Our dining room table had suffered some water damage and try as we might to rectify the situation nothing worked. Called Simon and what a great job he did too. Our table looks like new again and was done in a very timely manner. Would not hesitate in recommending Simon to anyone, very professional." "Simon restored an antique desk for us that needed all sorts of repairs. The internal mechanism hadn't worked for many years and needed to be fixed, all of the brass lock fittings needed attention, a drawer knob was missing and a new leather inlay was needed. And there were numerous other parts that were slightly damaged that needed repair and a facelift. Simon did a complete overhaul and the result is stunning. He is the ultimate perfectionist and the high quality of his work shows great craftsmanship. He's also a pleasure to deal with. Highly recommended."